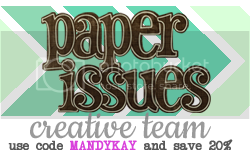 Paper Issues has a new issue posted and this round is titled Chip Off the 'Ole Block! We are looking for projects using or about the following: chipboard, ways you keep busy, schedules, or daily routines, menu planning, board games, family traits, and many more! 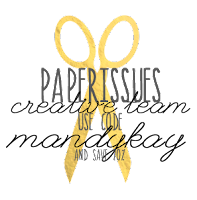 Check the Paper Issues blog for more information and visit the New Issue Monday FAQs to see how you could win a $20 gift certificate to the Paper Issues store! 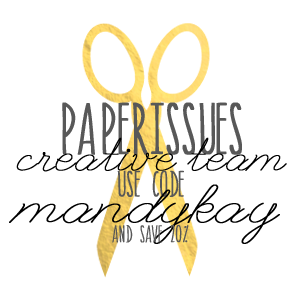 And just incase you want to do a little shopping before you get your scrap on, or replenish what you used... here is a code to save you 20% in the Paper Issues store. It's Saturday and I've got some scrappy inspiration for you! 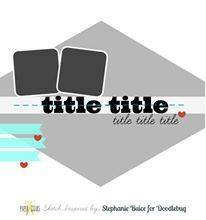 Steph Buice is an amazing scrapper and this layout she did for Doodlebug has caught our eye at Paper Issues. I used the Simple Stories Summer Vibes collection. You can find it HERE in the Paper Issues store. AND if you use the code below you can save yourself 20% off your order! 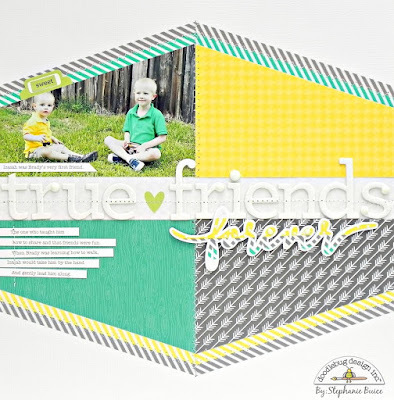 Stop by the Paper Issues blog to see what the other girls did with the sketch and then link us up to what you create!